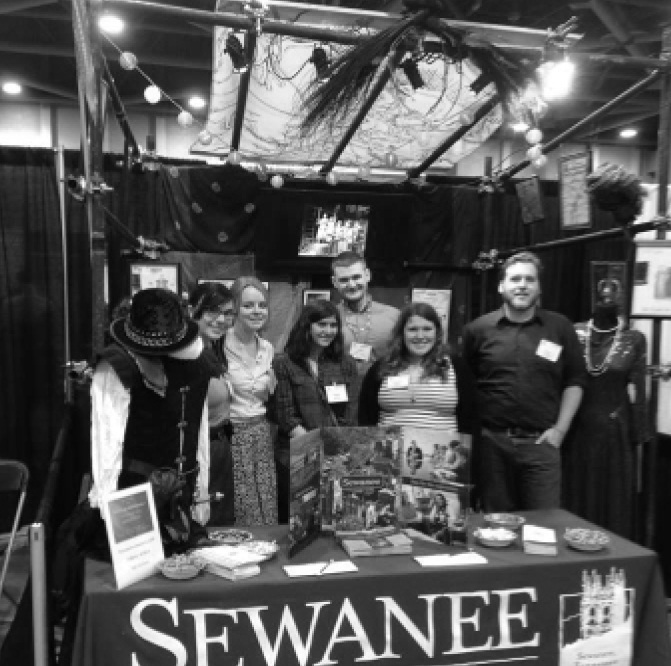 On April 23, Theatre Sewanee’s last production of the academic year will open. This production will be different from the previous shows seen in the Tennessee Williams Center. Usually the professors direct and cast the show, but this year Beckett Scott (C’14) has been given the opportunity to direct the final show in Theatre Sewanee’s season. Scott, a Theatre and French major, chose On the Verge. The play, written in the late 1980s, follows the story of three women explorers from the 1880s as they travel to unexplored corners of the globe and encounter interesting and diverse characters. “It is exciting for me to do a show that has three strong female characters… and such fun and different male roles. I think it will be very exciting and funny for the audience,” said Scott. Scott did not jump into this process on a whim. Professor Pete Smith began working with Beckett on directing as a focus two years ago when she took his Direction class. She then began helping Smith with the shows that he directed to give her more experience. That is possibly the most exciting part of this process, not only is Scott directing her own show, but classmates will do all of the design concepts and acting. Officially beginning the process of directing, Scott put up the cast list Wednesday March 5, casting Sarah High (C’15) as Mary, Elise Anderson (C’16) as Fanny, Pagie Wilson (C’14) as Alex, and Cody Snead (C’14) and Hyatt Pyle (C’14) as the male ensamble. “I am really excited to start the process. As the director, the preparation is important, but starting to work with the actors and production staff is so unique. I am ready to start working through this process and create my own show. It is daunting, but definitely exciting,” Scott finished. On the Verge runs April 23-27 in the Proctor Hill Theatre of the Tennessee Williams Center. Please call or email to make reservations.